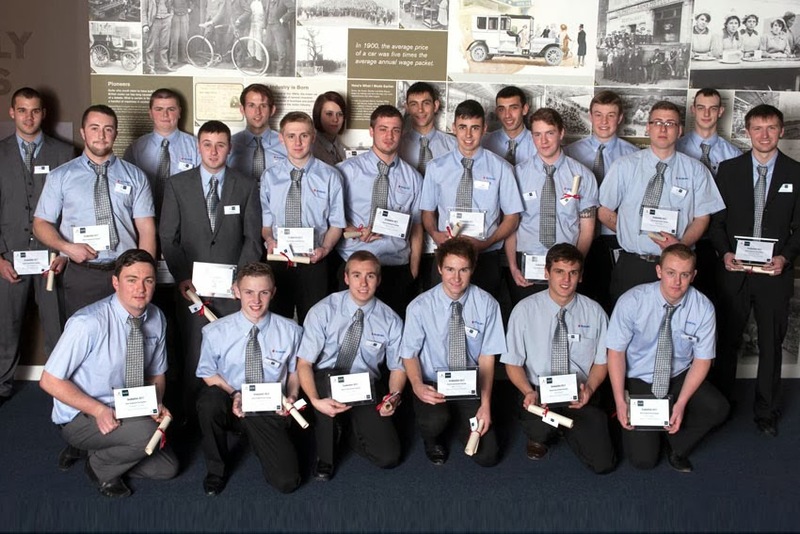 In a graduation ceremony held recently at The National Heritage Motor Museum, Suzuki presented 20 Automobile Division young apprentices with their graduation certificates. apprentices) studying on their block release programme as well as within their respective dealerships in order to graduate with this coveted qualification. All 20 Graduates received their Level 3 Advanced Apprenticeship Award and were presented with their qualifications by Suzuki's Director of Aftersales and Senior Director of Corporate Operations. "This is an occasion on which we can celebrate the excellent achievements of some of the younger members of the Suzuki family, whose hard work and commitment are helping us build a strong future. The quality of the work of the teams in our servicing, repair and spare parts areas form a vital part of the customer care chain. Maintaining high professional standards, ensuring work is of the best quality and responding to customer requirements in a prompt and efficient way are central to building customer trust and satisfaction," said Yoshinobu Abe, Managing Director for Suzuki GB. "Developing the skills of our apprentices is an excellent way of strengthening our performance and staying true to our company vision and missions. It gives me great pleasure to be able to recognise the achievements of so many young people. Their success is not only proof of the great talent at work in our Suzuki Dealers around the Country; it also provides them with a strong foundation on which to develop their careers for the future."